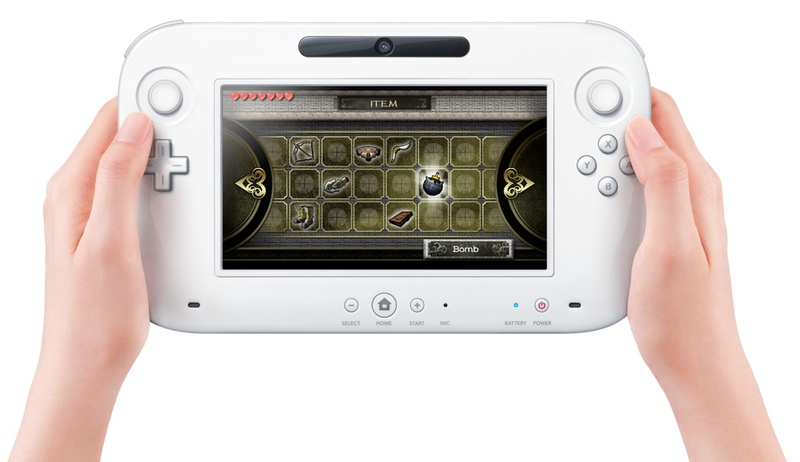 Nintendo just announced the Wii U, a new console/controller combo that includes a large, touchscreen controller with control buttons similar to those found on current Wii controllers. 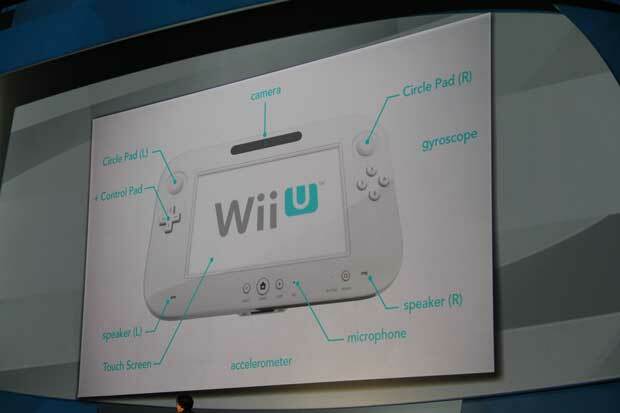 The system is considerably upgraded over the Wii and you can use the Wii U controller in many “unique” (hence the U) ways. The graphics are truly next-gen and this firmly places Nintendo in with the big boys in terms of graphics and gameplay. If anything can be said about this new console its that it has moved the Wii out of the kids’ room and into the living room. The games are actually quite mature including Aliens: Colonial Marines, Ghost Recon, and many titles, including Ninja Gaiden are arriving on the Wii U in a new, considerably better and bloodier form. The controller has a standard touchscreen with rumble and axis sensors. You can, for example, send a game to the controller and change the channel on the television to watch something else entirely. This allows kids to play while parents are watching the ball game and it also allows adults to play privately on the couch while the significant other watches something else. It is truly a third-screen gaming experience. You can also handle play calls in sports games and inventory control right on the controller, saving space on the main screen for full-screen graphics. There are accelerometers and a gyro so you can use it as an aiming device, and it can detect its orientation. The screen even appears to be writeable using a pen seen in the video. I, for one, am impressed. 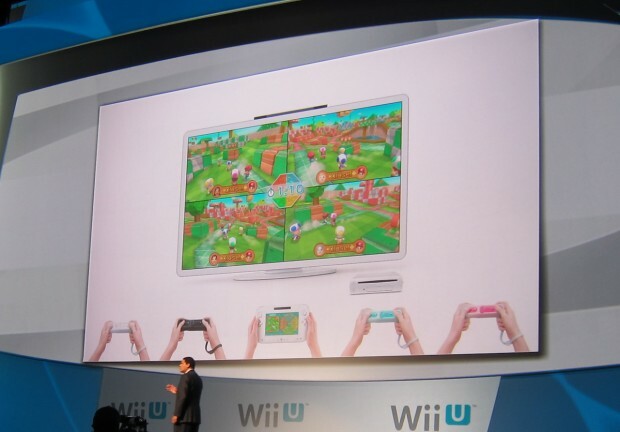 I’ve historically been down on Nintendo as greasy kid’s stuff but this is something different. The Wii U will arrive in 2012. We’ll have a hands-on with the “experiences” at E3 as soon as possible.